Humans are exposed to a vast array of chemicals through a wide range of portals. Innumerable environmental, toxic hazards arising from nature have always existed but the additional exposures to man-made chemicals have increased progressively since the Industrial Revolution. Regulatory agencies, themselves the product of public demand for drug regulation following thalidomide and other catastrophes, have developed licensing guidelines for new chemicals in order to protect human populations from damaging environmental exposures, while permitting the production and use of important new chemicals, which are an integral part of our built environment. Over the last 3 decades the scope and sophistication of testing requirements has increased greatly as the quantity and diversity of chemical entities to which humans may be exposed continues to increase. The earliest safety screening mainly concerned acute toxicity, carcinogenesis and teratogene-sis, however, reproductive and genetic toxicity are now being evaluated to an ever increasing extent. Although historically, reproductive effects have been most studied in females, it has been recognized for some years that adverse effects on male reproductive function are also important. 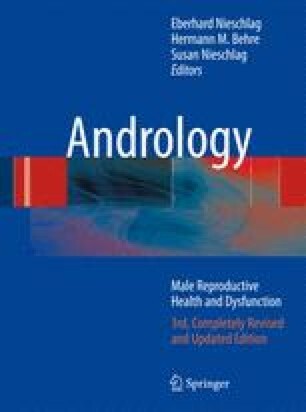 Indeed, a recent, comprehensive review has listed published data on over 600 chemicals to which humans can be exposed that affect the male reproductive system (Krause 2008).